Don’t miss our private civilian-only long range shooting school in Wyoming near Jackson Hole! We customize each course for your preferred time, focus and budget. Our world renown signature experience is a bucket list item perfect for a graduating son, a business partner or a bonding experience with our spouse. Our One Mile Shot Nomad Rifleman Experience is unparalleled anywhere in th world, with most guests achieving a one mile shot! Our most popular package is our 1-Day experience, which is at a ranch about 1 hour from Jackson, Wyoming. You will shoot a variety of precision rifles at targets from 100 yards to over a mile! World class instruction, use of rifles and other equipment and ammunition is included. LEARN MORE and BOOK. Following are combined ideas from past experiences to spark your imagination for building YOUR perfect experience at our long range shooting school Wyoming! Most of our training is performed on a private basis, please contact us with your goals and training needs & desires! Our classes are challenging, yet doable. Your instructors neither eat glass and spit our racist curses while doing push-ups nor have they won the biathlon event at the Olympics. We have discovered that people that make good coaches in a sport are not necessarily the same people that compete. Our private long range precision rifle training success is based on the excellence of our coaches’ ability to teach. We have used our many decades of combined experience, and have condensed hundreds of hours of information into a complete yet shortened package. Each part is designed to enhance learning and retention in Shepard’s fun and unique way. We believe that what you remember in 6 months is much more important that what we tell you during the class. If you are not seeking training, and instead have already mastered the craft of long range rifle shooting and simply want a turnkey experience to share with your clients or family; we stand ready. With an eager attitude, anyone can enjoy these long range precision rifle classes and experiences and learn a great deal. Whether you are an experienced hunter or a novice shooter, you will grow in your skills. Almost all of our students hit a 1000-yard target by the end of day 1 or 2, and some complete their journey to 1 mile either the 2nd day or the 3rd! You should anticipate being exhausted, proud and exhilarated by graduation evening! We do NOT have any ties to any rifle manufacturer. We are not a gun builder that offers training as a “side thing” designed to sell our over-priced guns. Our business is 100% instruction and experiences, and your instructors have a personal passion for long range shooting. We have all experienced classes in which 100 pieces of information were “taught” and a week later we have forgotten all of them. We believe it is better to follow Paredo’s Principle, so we examine the aspects of long range precision rifle shooting that make 80% of the difference and we focus on developing THOSE skills. We strive to be the best long range shooting school in the US. All NECESSARY EQUIPMENT AVAILABLE FOR RENT! Sample 3-Day Itinerary for those interested in serious private instruction when time is plentiful. Day 1 in Jackson Hole will focus on rifle fundamentals, how to properly clean the bore, introduction to minutes of angle (MOA), mil radians (MIL), zeroing your rifle/scope system and more. Instructors Shepard Humphries and/or Scott Austin will lead this day. Shepard’s teaching style is fun, welcoming and from a practical lay-person perspective. What is the best scope for long range precision rifle shooting? Scott is an experienced hunter, long range shooter and reloader as well as our go-to guy with shooting optics questions. His style is quiet and helpful as he helps students with their journey to a mile. 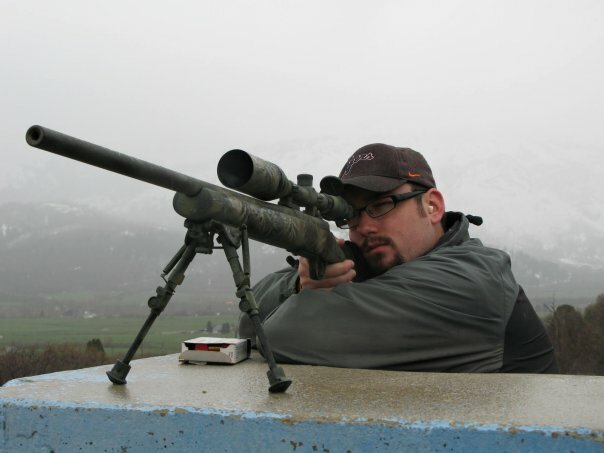 Scott will lead a thorough session on properly cleaning and maintaining precision rifles. Day 2 will build upon Day 1 and will include many drills, lectures and much focused practice. Our day will begin with instruction from instructors that might include Shepard, Brian Prax and/or Bob Gathercole. Brian, who works a day job as a physical therapist in Jackson Hole, is also a competitive shooter and hunter, once taking an antelope with a head-shot at 1124 yards with his Lapua .338. A couple years ago he attempted his first 1-mile shots, with his first 2 shots making a 3-inch group. Brian competes in PRS matches around the country. Brian is available to provide insight on preparing to compete in PRS matches. Bob competes in long range matches in the Western US, is ranked by the NRA as a High Master and is an avid hunter and experienced mountain man. Once, 40 years ago in Canada, while working a trap line, he used his rifle to drop a charging grizzly bear that collapsed just feet from him. In 2015 he was ranked #4 in Idaho in Long Range Shooting. Bob will discuss Natural Point of Aim, positional shooting and whatever else he thinks you should know. Having both competed against and been mentored by David Crandall, Bob and Brian will prove a few hours of foundation knowledge to make the following days more fruitful. Their focus will be on ranging, wind estimation and general long range marksmanship. The remainder of Day 2 might be led by Shepard Humphries and staff instructors. We will discuss interior, external and terminal ballistics as well as angles, wind and more. We will introduce field-craft familiarization from both tactical and hunting perspectives. This day is sometimes in Rexburg Idaho with instructors Shepard Humphries and sometimes Elden Dalley & Kevin Kooda. We provide classroom instruction as well as actual range time shooting at 1,000+ yards! Other times, this day is at a private ranch in the high desert of Western Wyoming. Topics will include reading wind, internal and exterior ballistics, ranging with a reticule, reading wind and much more. Kevin is a natural teacher with an engineer’s mind and is able to explain complex topics in an understandable manner. Elden has been an active shooter for most of his VERY long life and loves hosting competitions and helping others learn. Day 3 of our private long range precision rifle training is in the field with Shepard Humphries and other instructors and is similar to Nomad Rifleman. This is where we can put to use all that we have learned over the last day(s). We will learn to range targets from 500 to 2200 yards, estimate wind and then we will hit them or miss them, and learn from either! 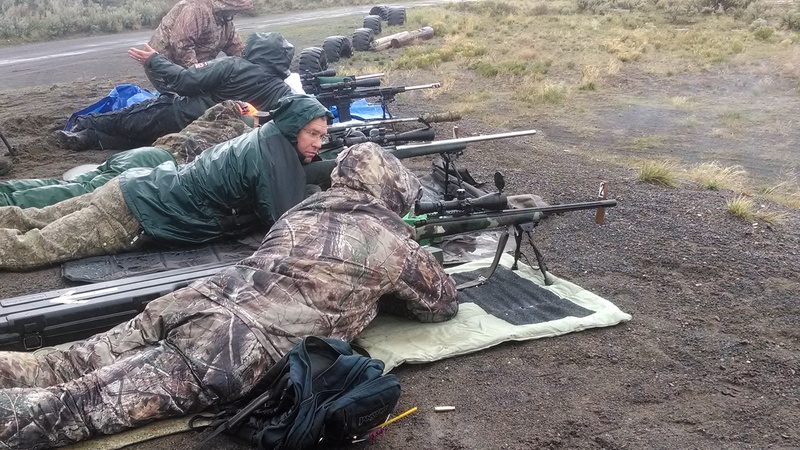 (If you do not have your own rifle and other gear for this long range precision rifle training in Wyoming, we have rental equipment available. We are easy-going. This can be an expensive sport. Some shooters have arranged their life’s financial affairs to be able to afford a $10k rifle, a $5k scope, $6k range finder and so on. Some are not in that position. Show up with a $700 Rem 700 .308 with a $900 scope and factory Federal Gold Match and you will be fine. Heck, a Ruger American 6.5 Creedmoor with a $300 SWFA scope will be just fine. If you don’t have a rifle and scope, please arrange to use ours. Show up with custom guns, hand loads, a high end scope and lots of expensive gear and this private long range precision rifle training will be easier for you, and when the guy with the $750 setup out-shoots you on some targets, he will feel more proud. 🙂 Bring what you have, and borrow the rest from us. Don’t have any gear or guns? Use ours. Contact us for more information about gear for our long range precision rifle training in Wyoming. Our goal is to share with you the joy and satisfaction of shooting long range! Rifle: Any center-fire rifle is acceptable, most popular will probably be the 7mm Mag, .260 Rem, .308 Win., 300WM and 6.5 Creedmoor . You may use any gun that is capable of reaching beyond 1,000 yards. I have some friends that even shoot .223’s at 1,000, but having only a 223 will limit you on the final days. The truth is, a 1 mile shot is not a practical thing we will do often. Some of our clients like to “get it out of our system” and then return to closer ranges like 500 to 1200 yards. 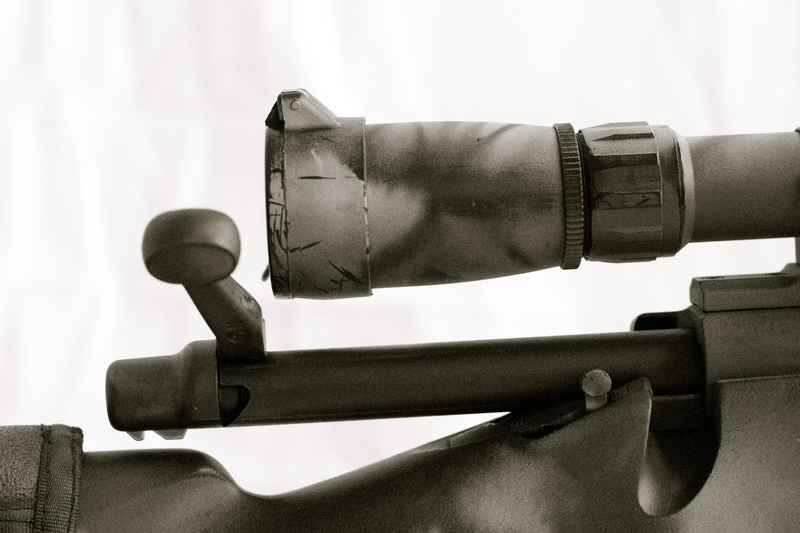 Having a quality bipod is strongly suggested for our long range shooting school Wyoming. Also, your scope should have a bubble level. Make sense? If not, no worries, contact me via email with any questions ASAP, and we will cover all this voodoo in class! 🙂 You might enjoy a great article about scopes HERE. Ammunition: Depending on the length of your private long range precision rifle training , you may fire as few as 200 rounds, however you will have an opportunity to shoot much more if you choose to do so. Quality hand loads will be much more accurate than factory ammunition, and will be allowed in our private precision long range shooting classes. You may use either, but we ask that you bring only one type of ammunition for the sake of consistency. Shooting mat: Some shooters prefer to lay on a mat to shoot, but having a mat is not mandatory. Some drag bags come with a mat. Some shooters don’t mind “being one” with the wet or dusty earth. Other client’s have physical issues and prefer a shooting bench for the seated shooting position, which we can also provide if requested. Happy sock: This rear shooting “squeeze bag” rest can either me made with a bag of rice in a sock or a professional grade bag can be purchased. We will have free material on hand for making additional squeeze bags. Hearing protection: You are welcome to bring your own or use our electronic muffs at no additional cost. Range Finder: Not necessary, but if you have a good one, please bring it. I suggest one that is actually capable of ranging bushes at over 1,000 yards. Most range finders are misleading on their labels, so buyer beware. If is says “1,000” you will be lucky to get 500 in the field. Don’t buy one just for this class if you don’t already have one. I don’t use a laser range finder much, but if you have $350, the Sig Kilo is a heck of a range finder! If you have $1500, get THIS one. If you have $3,300, THIS is a good choice. I have only used one range finder under $750 that has impressed me, the Sig Kilo 2000. Feel welcome to use ours. Eye protection: Any impact resistant glasses are acceptable, including prescription sun or regular glasses. You may use our safety glasses as no additional cost. Weather / Wind Meter: Not necessary, but very helpful. This is a good one. A $25 used eBay Kestrel 1000 is also pretty OK until finances allow better. If money isn’t an issue, I suggest going crazy with THIS. ATVs: If you have one, bring it. If not, you can do without or you can rent one. Let’s chat about the Nomad Rifleman style of shooting that is available. *Due to the advanced nature of this class, the US Department of State requires us to only allow US Citizens to attend this long range precision rifle training in Wyoming. We apologize to our foreign clients that we can not allow you in this class. This is the best long range shooting class available in the US for civilians interested in shooting 1,000+ yards. We also provide lower cost private long range precision rifle training in Wyoming at the Jackson Hole shooting range with distances out to 600 yards.